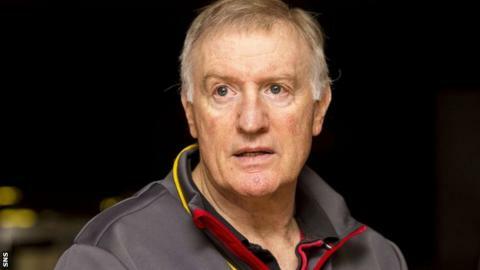 Alan Solomons criticised Edinburgh's lack of discipline as they suffered a second-half slump away to Ospreys. Edinburgh were 13-6 ahead minutes before half-time, but the Welsh side levelled with a try before the break and dominated thereafter to win 27-13. "The biggest factor was discipline," head coach Solomons told BBC Scotland. "We talked about it at half-time. "We said we have dominated possession and territory, we've got to keep doing that, but our discipline wasn't good." Solomons thought a yellow card for captain Neil Cochrane in the final quarter was crucial. "I thought we played really well the first half," said Solomons. "We had possession and territory and missed two kicks at the posts that perhaps we should have got, then they got a very good try. "So, after dominating territory and possession, right at the death, we go in 13-13. "The second half was the reverse. They dominated territory and possession and, ultimately, when Neil went off with a yellow card, that killed us. "We gave away a lot of penalties, plus a yellow card, and I think that was the difference in the second half." The defeat leaves Edinburgh fifth in the Pro12 table with all the teams in the play-off places having played fewer games. "We are looking forward to being back to Murrayfield - we've been on the road a lot and the last three games have been away from home," added Solomons. "It is always a difficult period for all the clubs - not just us - over the Six Nations period, but we've got to put in two big performances before we go into the break." One bright spot for Edinburgh was the return of Scotland forward Grant Gilchrist from long-term injury as a replacement. "It was good for him," added the Edinburgh coach. "He has had very little rugby in the last 14-15 months, so we felt 25 minutes was about right. "I thought, for his first outing, he did well."